The folks over at Advanced Micro Devices (AMD) have been fast-tracking the launch of the Vega 10 GPUs towards the end of 2016 as well as plans to introduce its Vega 11 GPUs within Q2 of 2017. Recent leaks of the company’s roadmap revealed timelines of its notorious Radeon Technology Group. According to WCCFTech, the new Vega 10 GPUs will be based on the company’s brand new GCN graphics architecture as well as a 9th generation collection of visual IP. The Vega 10 has been under development for several months now and is almost ready to unveil it. The Vega 10 will have 12 teraflops of computing power provided by 4069 V9 cores. The card will also be able to handle 4K resolutions and will probably be called the RX 490. The AMD Radeon RX 490 will have 16GB HBM2 (High Bandwidth Memory 2), the second generation of HBM that the company released. The card is also rumored to have 512 GB/s bandwidth and 4096-bit memory bus and will be manufactured using the 14nm FinFET process. Compared to Nvidia’s flagship Titan X (which costs $1200), which has 12GB GDDR5X VRAM, 11 teraflops, 3,584 cores, 480 GB/s bandwidth, and a 382-bit memory bus, the Vega 10 is set to take it head on. Another product in the pipeline is the Vega 11, which is less powerful than its older brother, even if the series has a higher digit is rumored to arrive within the first half of 2017. A speculated RX 580 GPU will be based on its architecture and will offer 8GB HMB2 VRAM, 7 TFLOPS, 1025-bit memory bus and 256 GB/s bandwidth. 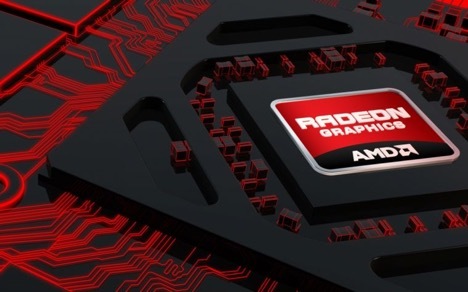 The naming scheme is debunked by Raja Koduri, head of AMD’s Radeon Technologies Group stated that Polaris 10 is more powerful than the Polaris 11. The difference is the dates the projects were started. The leaks also suggested a Dual GPU version of the Vega 10 which will have 18 TFLOPS of computing power.